Prof. Dr. Tamara Ćapeta earned her Ph.D. degree from the University of Zagreb Faculty of Law, Croatia in 2001, and her LL.M. degree from the College of Europe, Bruges in 1993. She was Fulbright visiting scholar at University of Michigan Law School in 2006. She is author/co-author of 7 books and a number of Articles. 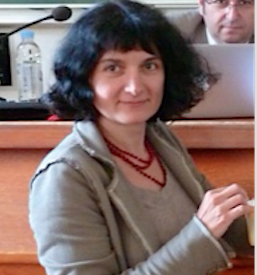 Tamara Ćapeta is professor of European public law at the University of Zagreb, Faculty of Law, Zagreb, and holder of Jean Monnet Chair. Before, she was teaching at the Faculty of Economics (1997 – 2002), was research fellow at the Institute for International Relations (1994 – 1997), and was working in the Ministry for External Affairs (1992 – 1994). As of the entry of Croatia in the European Union til summer 2014 she worked in the Court of Justice of the European Union as a Head of Unit for translation into Croatian language. After the establishment of the Unit, she has return to the University of Zagreb, where she heads the department for EU public law. Her current reserach interests are constitutional aspects of European integration and legimitmacy of judges.